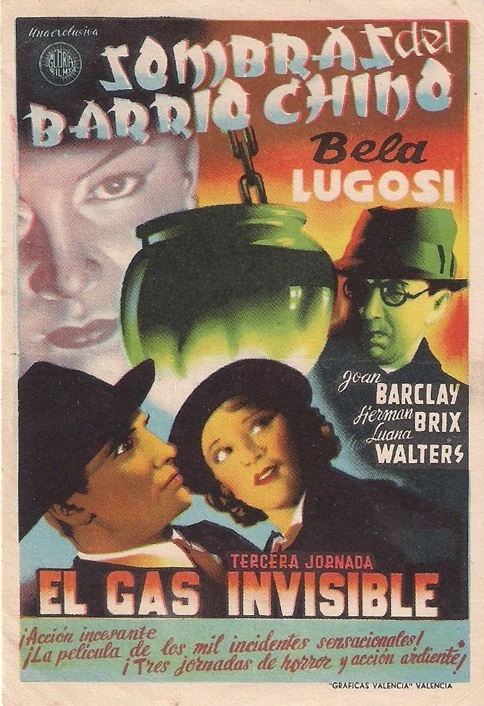 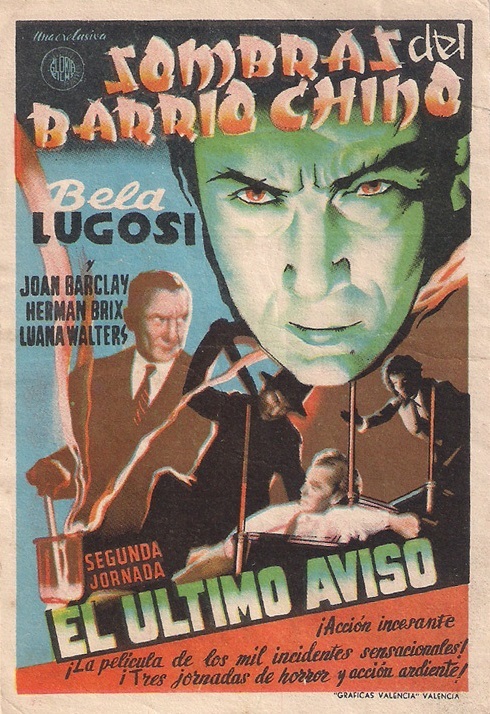 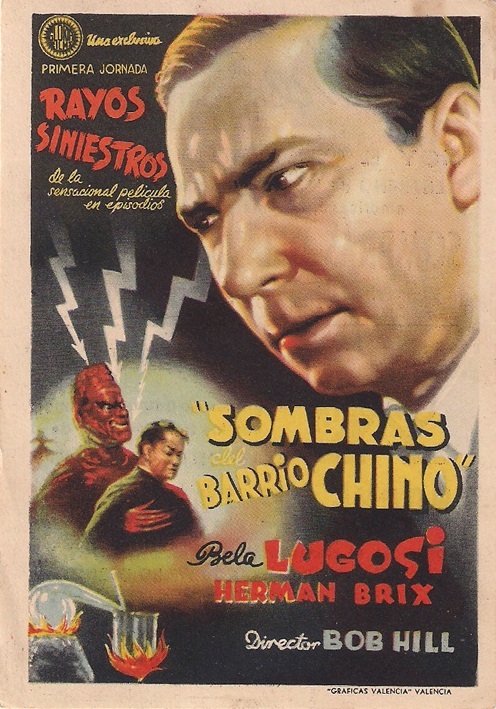 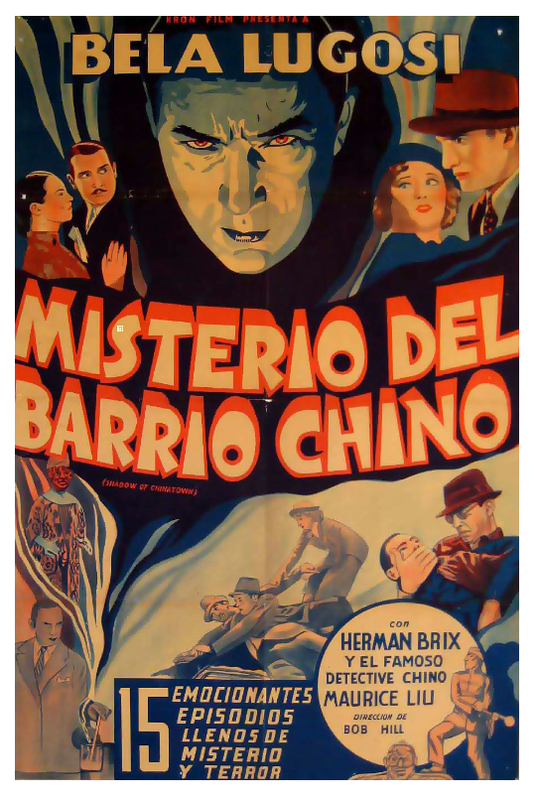 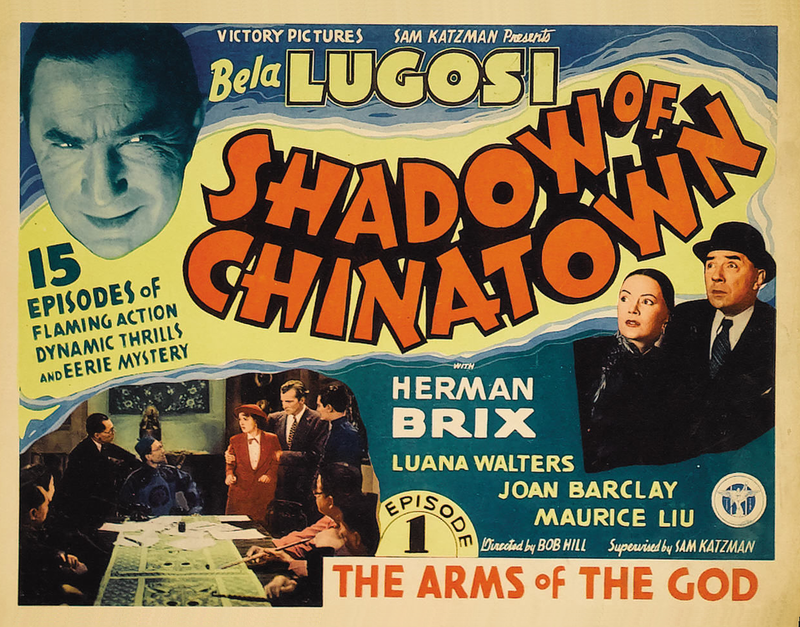 Bela Lugosi plays a crazed Eurasian scientist hired by an import company to terrorize its Chinese competitors in his third serial. 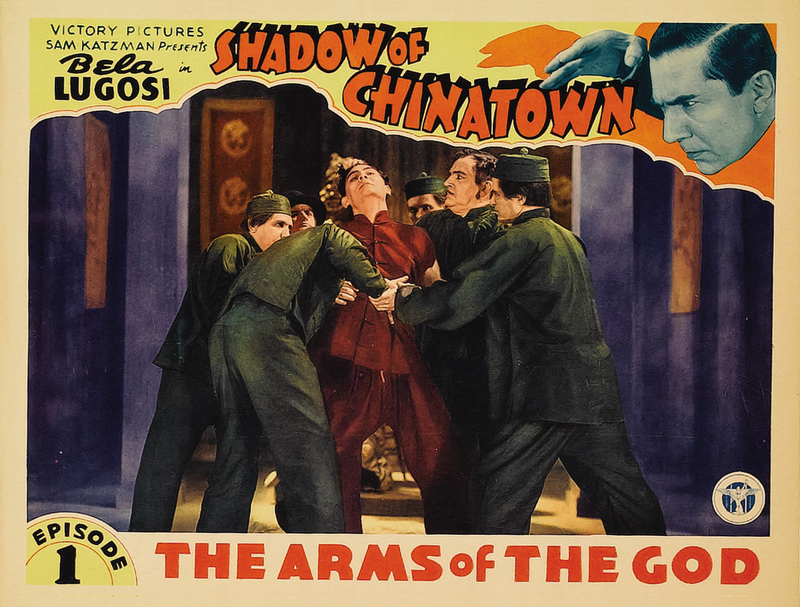 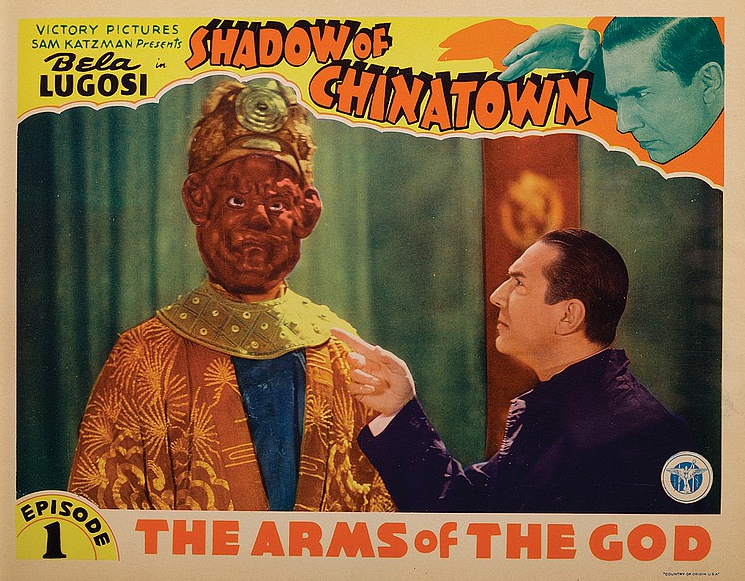 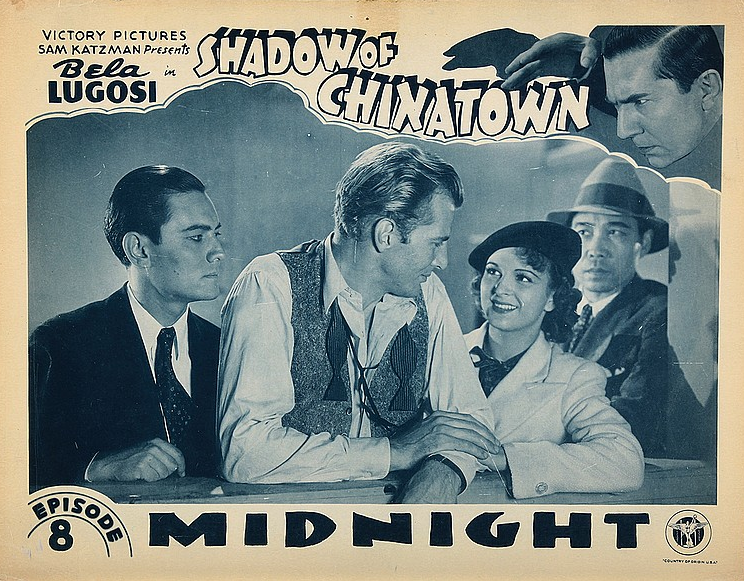 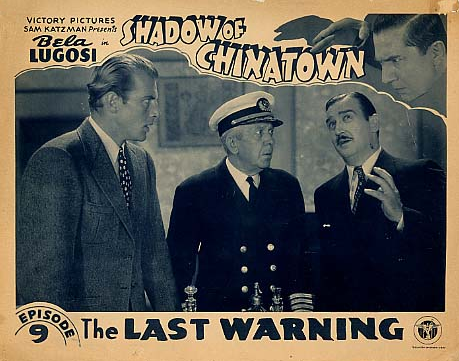 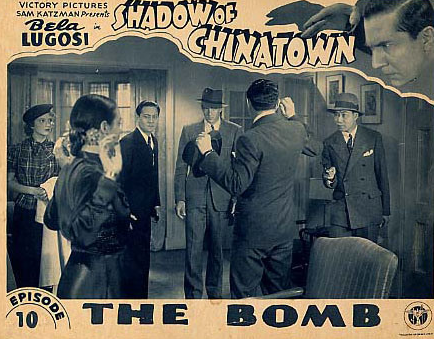 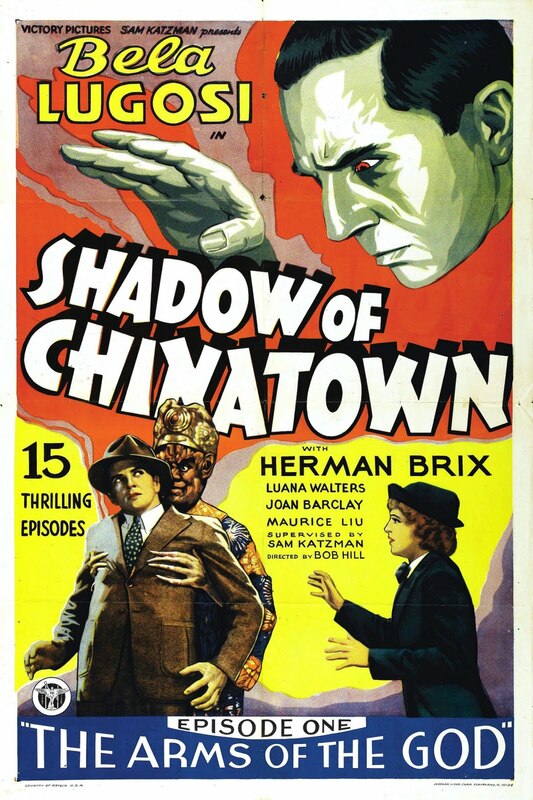 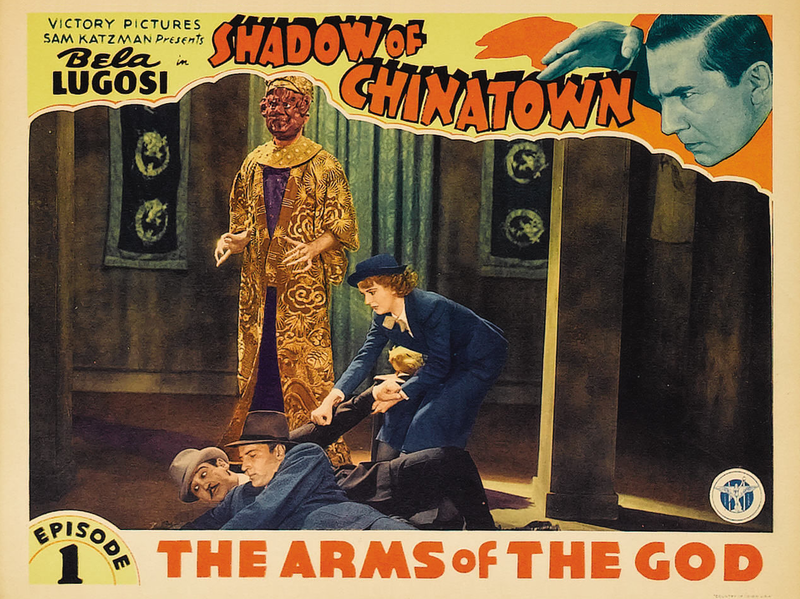 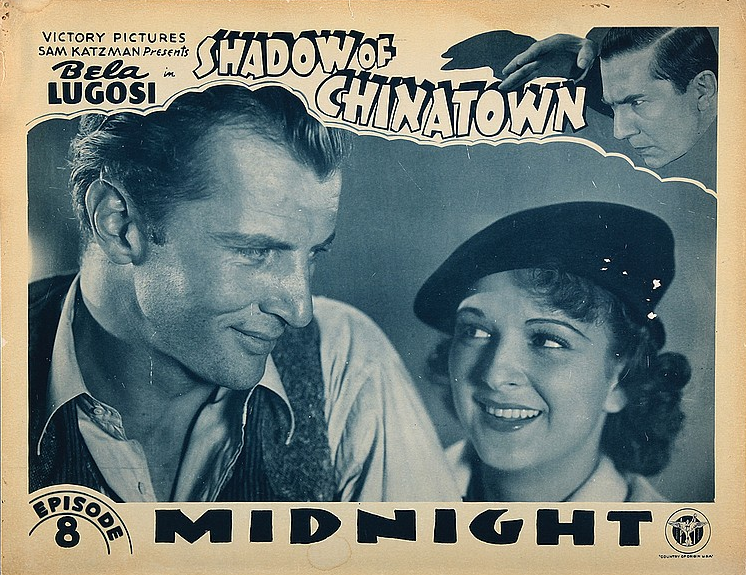 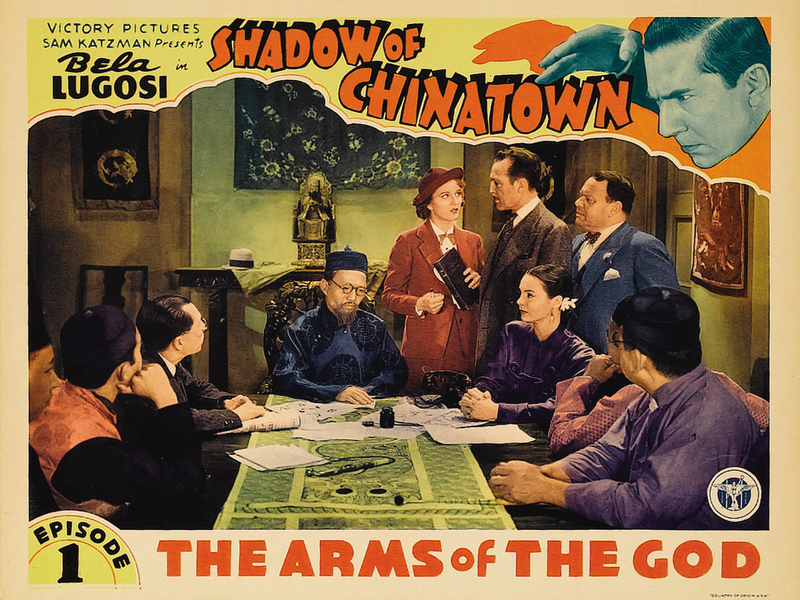 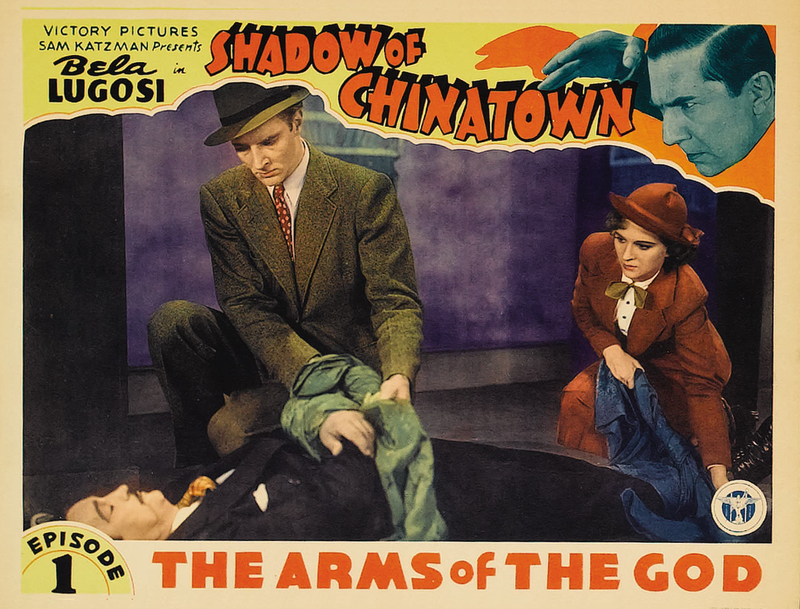 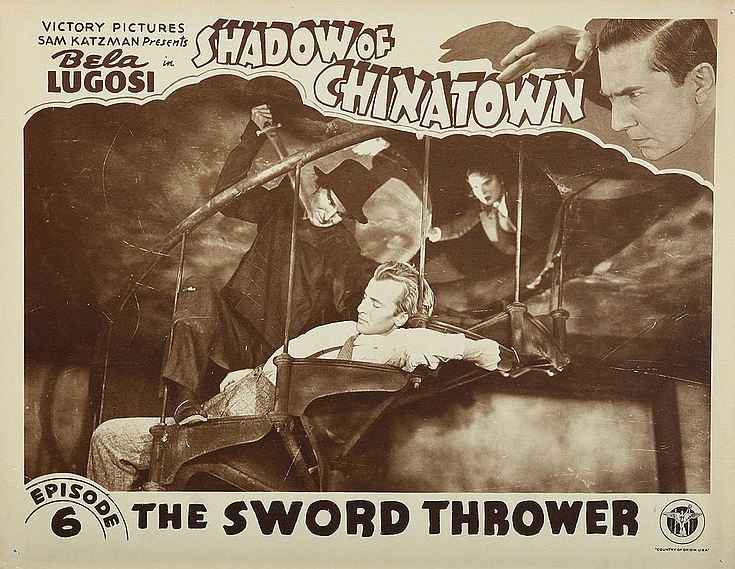 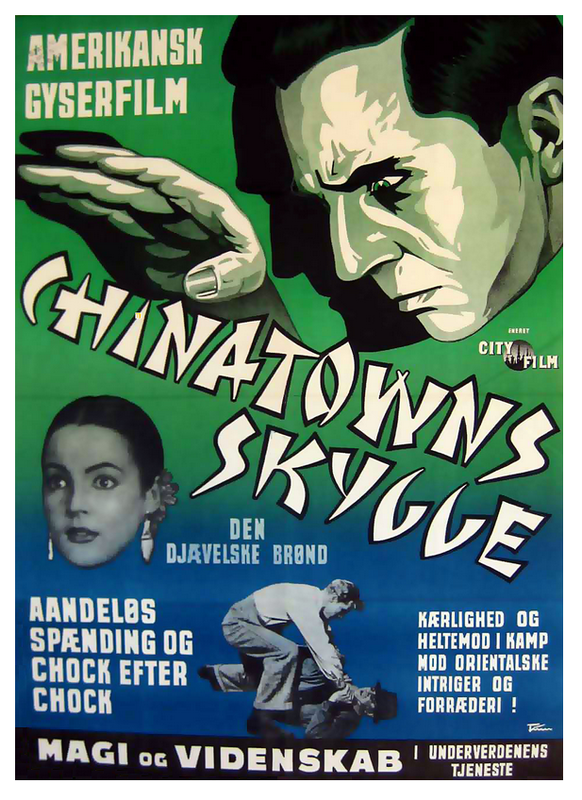 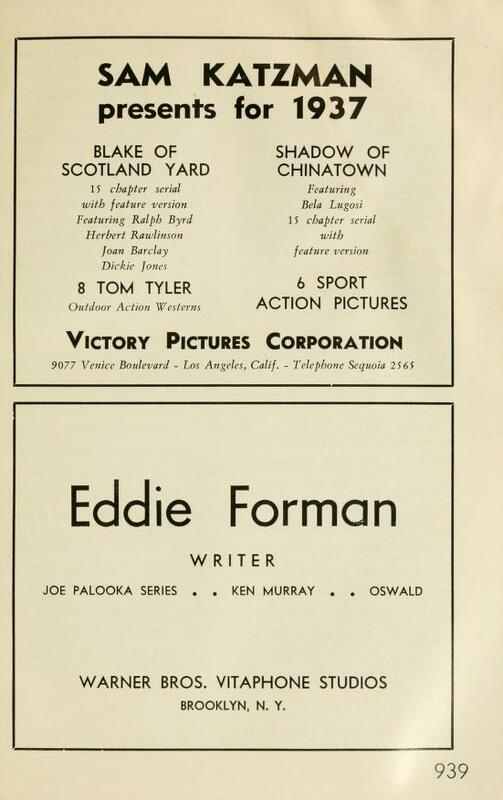 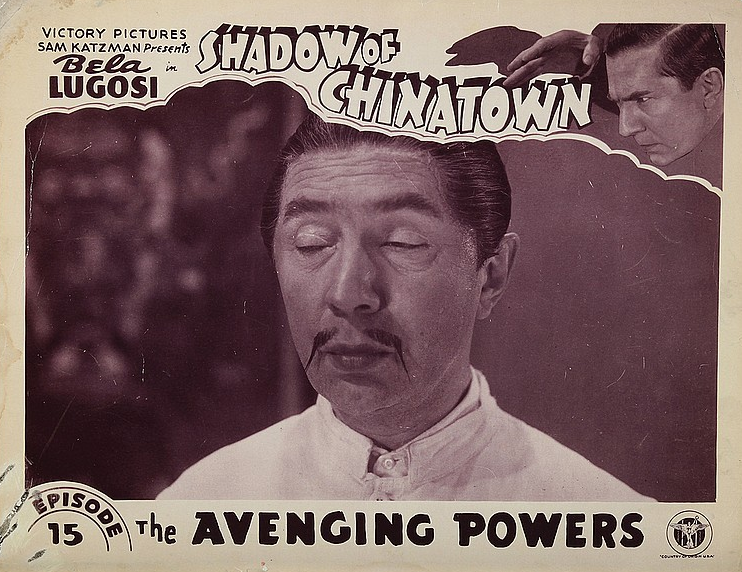 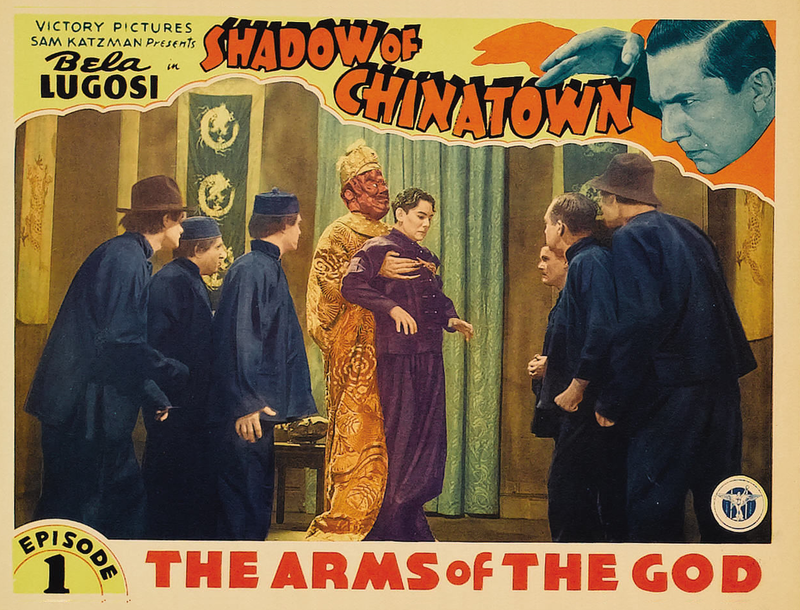 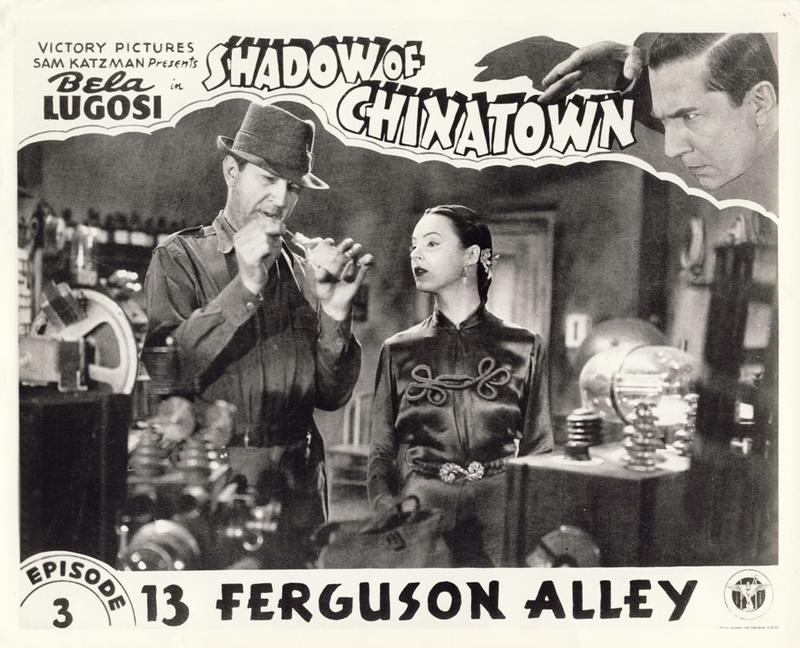 Shadow of Chinatown was also released in a condensed feature-length version. 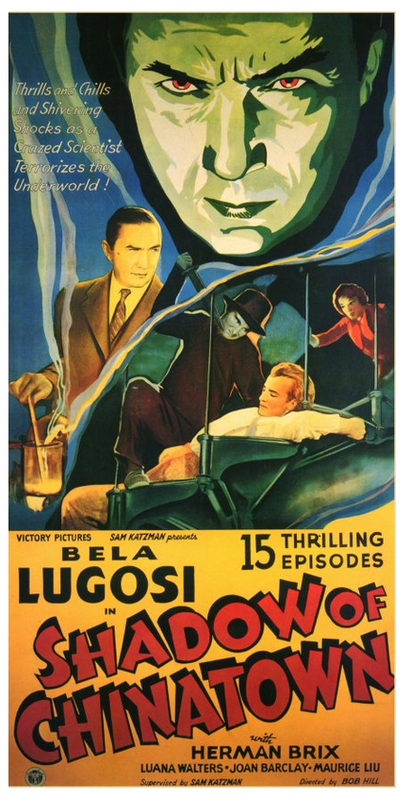 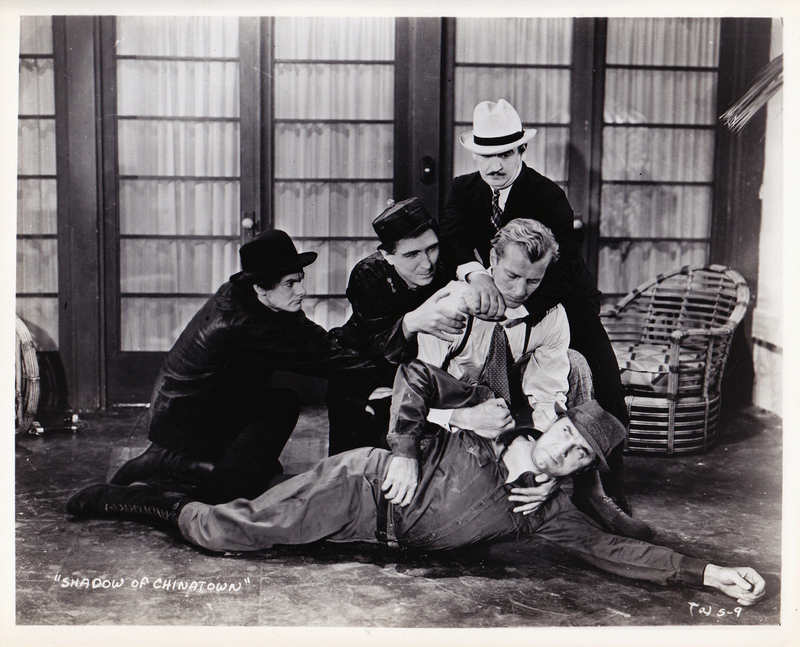 In the serial Lugosi’s character is captured while trying to serve poisoned wine, but he is killed in the re-edited feature when his car plunges into the harbour during a climactic car chase.